CRDC applauds Design Standards Corp and owner Eric Crainich for being named winner of the Jeffrey H. Butland Family-Owned Business of the Year Award. Crainich is a second generation contract manufacturer in the medical device industry. CRDC provided a SBA 504 loan to perform major renovations to their expanded new medical equipment manufacturing facility which is located in Charlestown, New Hampshire. CRDC Loan Officer, Liz Sweeney submitted the nomination and worked closely with Crainich during the loan process. 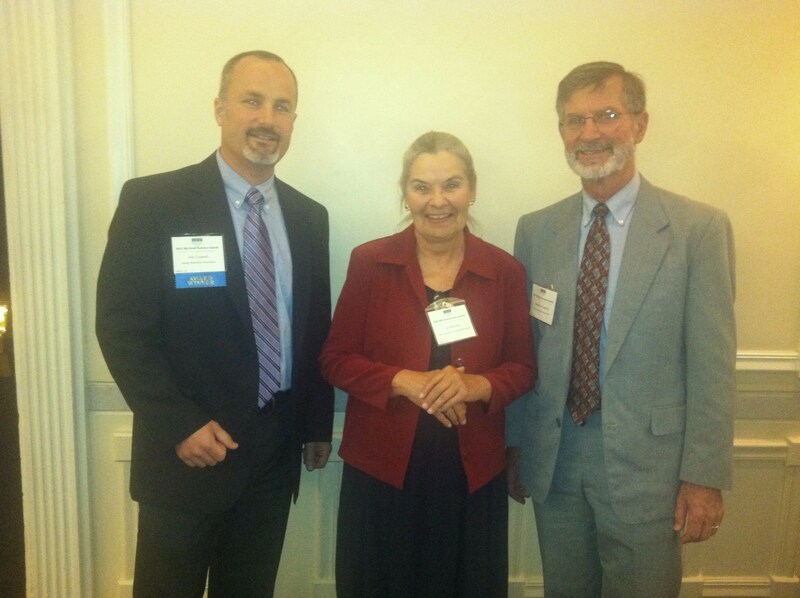 Photo Caption: Eric Crainich, Liz Sweeney of CRDC and Lawrence Crainich attended the SBA Awards Luncheon held in Nashua on May 17, 2012.